With over 2,000 completed assessments in the database, learners consistently report high levels of knowledge but low levels of skills across cultural competency. This translates into MCH professionals having high levels of understanding of this competency but not as much self-efficacy in translating this knowledge into practice. 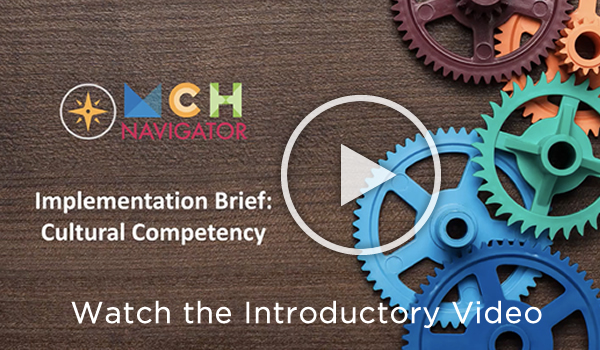 In response to this need, the MCH Navigator has developed this implementation brief that provides specific learning opportunities that focus on how to implement and execute skills associated with cultural competency. View each of the six areas of action below and corresponding learning opportunities for: 1) Foster cultural competence, 2) Build community partnerships, 3) Collect diversity data, 4) Reflect and respect diversity, 5) Ensure effective communication and language access, and 6) Measure performance and evaluate results. Cultural Competence Self-Test. Date Developed: September 11, 2012. Source: Jefferson County Public Schools-Louisville, Kentucky. Presenter(s): Unknown. Type: Interactive Learning Video. Level: Introductory. Length: 5 minutes. Cultural Assessment and Intervention in the DSM V. Date Developed: September 18, 2015. Source: University of Texas as El Paso Department of Social Work. Presenter(s): Mark Lusk, EdD, LMSW, LCDC and Silvia Chavez, PhD. Type: Video Lecture. Level: Introductory. Length: 30 minutes. Assessing Competency in Health Care Workers: Can We Assess Ourselves? How Can We Assess Others? Date Developed: July 15, 2014. Source: University of Washington Laboratory Medicine Grand Rounds. Presenter(s): Dave Davis, MD. Type: Video Lecture. Level: Introductory. Length: 49 minutes. CLAS Standards in Practice – Building Community Partnerships. Date Developed: September 16, 2016 . Source: Substance Abuse and Mental Health Services Administration. Presenter(s): Rachele Espiritu, PhD and Lacy Kendrick Burk, MS, MBA. Type: Webinar. Level: Introductory. Length: 40 minutes. Community Engagement and Cultural Competency. Date Developed: Unknown. Source: Association of Science-Technology Centers. Presenter(s): Chip Lindsey, Azuka MuMin, Frieda Smith, Marilee Jennings, Suzanne LeBlanc. Type: Video-Round Table Discussions. Level: Introductory. Length: 19 minutes. Engaging Minority Communities in Public Health Research, Practice and Policy. Year Developed: 2013. Source: University of Minnesota School of Public Health. Presenter(s): Byllye Avery, MEd; Amy Jo Schulz, PhD. Type: Narrated Slide Presentation. Level: Intermediate. Length: Self-paced. Engaging and Partnering with Culturally and Linguistically Diverse Communities. Date Developed: September 11, 2015. Source: National Center for Cultural Competence. Presenter(s): Wendy Jones, Barbara Hueler. Type: Webinar. Level: Advanced. Length: 90 minutes. Addressing the Multiple Issues in Collecting Race, Ethnicity and Language Data. Date Developed: November 18, 2016. Source: Family Voices of California. Presenter(s): Vivian H. Jackson, PhD. Type: Webinar. Level: Introductory. Length: 60 minutes. Improving Health Equity through Data Collection and Use. Date Developed: April 14, 2011. Source: American Hospital Association. Presenter(s): Maulik Joshi. Type: Video Interview. Level: Introductory. Length: 5 minutes. Collecting the Data: First Steps in Achieving Health Equity. Year Developed: 2013. Source: School of Public Health, University at Albany, State University of New York. Presenter(s): Nirav R. Shah, MD, MPH; Marcia J. Wilson, PhD, MBA; David Zingmond, MD, PhD; Steven M. Safyer, MD; Dennis Whalen. Type: Video. Level: Advanced. Length: 90 minutes. Why Diversity and Cultural Competence are Important in Library and Information Science. Date Developed: May 2017. Source: Association of Science-Technology Centers. Presenter(s): Chip Lindsey, Azuka MuMin, Frieda Smith, Marilee Jennings, Suzanne LeBlanc. Type: Video-Round Table Discussions. Level: Introductory. Length: 19 minutes. Recruiting for Diversity. Date Developed: Unknown. Source: University of Minnesota Carlson School of Management. Presenter(s): Amy Falink. Type: Webinar. Level: Introductory. Length: 6 minutes. Diversity and Health Equity in the Maternal and Child Health Workforce: A Resource Guide to Key Strategies and Actions for MCH Training Programs. Date Developed: June 22, 2016. Source: U.S. Maternal and Child Health Bureau. Presenter(s): Lauren Raskin Ramos, MPH, Denise Raybon, MPH, Suzanne Bronheim, PhD, and Tawara Goode, MA. Type: Video. Level: Intermediate. Length: 31 minutes. Diversity and Cultural Competency in Public Health Settings (Basic Level). Date Developed: Unknown. Source: South Central Public Health Partnership. Presenter(s): Wm. Marty Martin, PsyD, MPH, MA, SPHR. Type: Video. Level: Introductory. Length: 20 minutes. Communication, Collaboration and Cultural Competency. Date Developed: Unknown. Source: American Theological Library Association. Presenter(s): Nicole A. Cooke. Type: Webinar. Level: Introductory. Length: 44 minutes. Building and Maintaining Collaboration through Structured Conversations. Date Developed: June 5, 2015. Source: Substance Abuse and Mental Health Services Administration. Presenter(s): Liz Waetzig, PhD. Type: Webinar. Level: Introductory. Length: 49 minutes. Exploring Cross Cultural Communication. Year Developed: 2004. Source: New York City, Long Island, Lower Tri-County Public Health Training Center. Presenter(s): n.a. Type: Online Course. Level: Introductory. Length: 150 minutes. 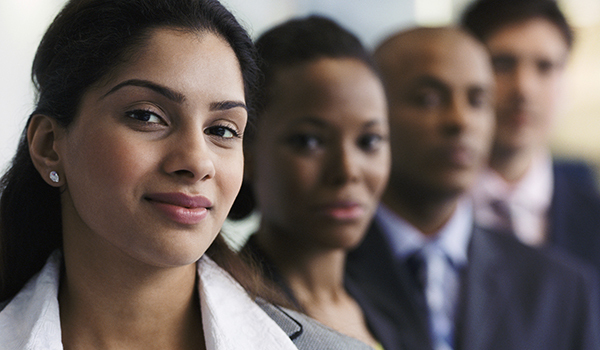 Cultural Competency: Training and Program Evaluation. Date Developed: May 18, 2016. Source: Case Western Reserve University. Presenter(s): Vivian Jackson and Toby Martin. Type: Video Lecture. Level: Introductory. Length: 110 minutes. Assessing Cultural Competence in Evaluation. Date Developed: April 11, 2014. Source: The Evaluation Center, Western Michigan University. Presenter(s): Jody Brylinsky, PhD, MS. Type: Webinar. Level: Introductory. Length: 43 minutes. What Does it Take for an Outsider to Evaluate in Cross Cultural Contexts: What about the Cultural Nuances and Subtleties in Language? Date Developed: April 11, 2014. Source: The Evaluation Center, Western Michigan University. Presenter(s): Jody Brylinsky, PhD, MS. Type: Webinar. Level: Introductory. Length: 43 minutes. Cultural Competence Planning Guide-Cultural Competence Workgroup 2011-2014. Washington State Department of Social and Health Services.